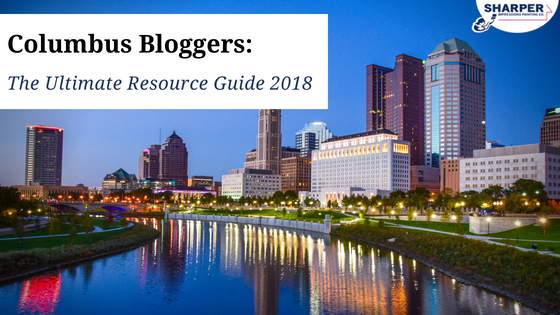 Hello and welcome to the Columbus blogger resource guide! The team at Sharper Impressions Painting loves living in Columbus and all that is has to offer. We’re more than professional painters. We are parents, travelers, foodies, and enjoy getting out and about in our fair city. This is why we’ve decided to bring the best bloggers from around Columbus in their various niches for your reading pleasure. They share with us their interesting views on various subjects from our beautiful city of Columbus, Ohio. Explore through their eyes, learn from their experiences and walk miles in their shoes! This informative page was compiled by Sharper Impressions Painting Company, who offer reliable interior or exterior house painting in Columbus, Ohio. We are the experts if you need the highest quality painting services at an unbeatable price. We also have a blog filled with expert interior and exterior painting tips! 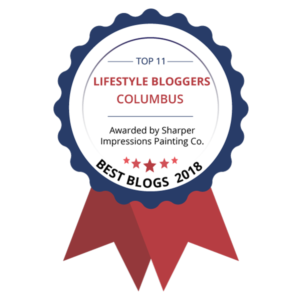 Columbus has a pretty active blogging community with varied views on several topics. We’ve managed to round up the best of 7 categories, Food, Lifestyle, Local Experts, Fashion, Travel, Photography and Mom’s blog into one resource guide. Also, a huge thank you to all the featured bloggers on here that have contributed to this post. You educate and empower people who read your content which is more than anyone can ask for! Find out the best places to eat and drink around the city from the top food bloggers in and around Columbus. Courtney from Neighbor Food Blog focuses on recipes that are full-bodied and easy to make but look scrumptious. Her writing is filled with passion for what she does with a good dash of humor to make it all the more flavorful! If you have a sweet tooth, you should check out her ‘double chocolate banana bread’ recipe. Breakfast is the most important meal of the day, and if you’re looking for the best breakfast in and around Columbus, Nick is your man! He’s also known as Dr. Breakfast and for good reason – there is a huge variety of places to catch up on his blog. He doesn’t limit himself to breakfast; he writes about coffee, travel, art and everything else in between. Describing herself completely tongue-in-cheek as an “eater, writer, bean counter”, Mary has a sense of wit that makes itself known when she writes. Fervent Foodie is a great read just like the recipes she comes up with. If you are looking for something to start with, we would recommend the ‘cherry tomato and ricotta frittata’. It’s pretty easy to make and is great to start your day with. We all know how difficult finding wholesome nutrition ideas are, but Sally’s Real Mom Nutrition gives you a leg up in that department. 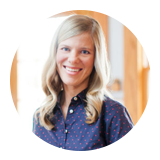 Sally focuses on making meals as healthy as possible and because she’s a mom, has several recipes for kids as well. She is a registered dietician and gives advice on how you can cut down on needless calories while still making food taste great. Hannah and Joel work with food, love food, and met over food – what could be a better start than that for a food blog? They have several informative blog posts including food reviews in and around Columbus. Since the city has several fantastic places to visit all around the year and they love traveling, they do write about that as well. Can a dietician and a nut butter connoisseur be the same person? Kara says yes! Byte-Sized Nutrition is all about effective meal recipes and portions without compromising on taste. She brings together different worlds in her recipes. Take a look at her ‘Ginger Kombucha Moscow Mule’ which is a vodka-based cocktail and a probiotic drink in one! Gina runs The Candid RD blog which focuses on “Simple and Honest Nutrition” without depriving yourself of essential nutrients. She is a registered dietician, and hence has valuable insights about food which she recommends through her articles. Her ‘California Steak Salad’ will definitely make your mouth water. We think that Caroline’s Columbus Culinary Connection is a beautiful alliteration! She’s an attorney by day and lives with her husband, Josh. Inspired by her mom, Caroline took to cooking at a really early age. She has a love for the culinary arts and writes about her experiences in and around Columbus on her blog. If you’re looking for scrumptious places to satisfy your taste buds in and around Columbus, then you’ve come to the right place. Crave Columbus aims to whet your palate for different types of cuisines from the city. It also has recipes that are easy to make while being flavorsome at the same time. From exotic breakfasts to gift ideas for foodies, this blog covers everything! One of the most popular vegan blogs in the Columbus area, Natalie focuses on eating healthy and getting the right sort of nutrients in the body. Her recipes are delicious and are inspired by a variety of things including seasons and places! Her ‘Summer Veggie Bowls with Avocado Herb Sauce’ is a good jump-off point for the rest of the recipes from her blog. Bringing the taste of Brooklyn, NY to Columbus, Sherri has detailed recipes that cover every facet of making the food she loves. An artist and photographer, she says her mother is her reason to be inspired when she cooks. Her love for food got her started on this blog where she regularly posts about several types of food including pizzas, salads, cookies, beverages and everything in between! Get the best Columbus has to offer with regards to fitness, travel and good living from these lifestyle bloggers. If there were a person who had their finger on the pulse of Columbus, it’d be Eryn from 614 Mom. It started out as a hobby and is now her full-time job. Her blog is full of insights into different things happening around the city as well as quality information regarding anything Columbus. She puts out regular posts about places to eat, where to plan family outings, fitness, and more. If you are an adventurer and a foodie, then Malini from Lakes And Lattes is your jam. Malini’s trysts with food are just like her adventures – sometimes mind-bogglingly detailed, other times with playful nonchalance. Her blog is about scribing memories of people, places, and food. Her mom introduced her to cooking with fresh produce, and she has been in love with local produce ever since! The girl behind the Girl About Columbus, Amanda started this off as a hobby in 2013 which then metamorphosed into a full-blown lifestyle blog. It has articles touching several facets of life like motherhood, travel, beauty, food and of course, style! 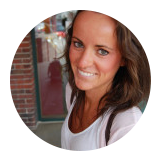 She has an extensive Columbus guide page which she updates as she discovers more interesting places to write about. 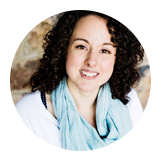 Allie runs her blog which is called Be Up & Doing – a very inspirational, dynamic blog name, we think. She writes about personal accounts of her experiences in Columbus, health and wellness, entrepreneurship, and relationships. Also, it has one of the most minimalistic and elegant layouts we’ve seen in a blog which draws you in! Katie’s blog My Keep Calm And Carry On has posts on life, style, and motherhood. This blog is very visual and also has great write-ups that make you think, and are funny as well. She writes about places to visit with kids in and around Columbus as well as trips around the world. A fascinating read! 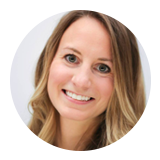 Amy is the founder of Cbus Chic blog which has in-depth articles on health, beauty, career, food, fashion and much more. It is very informative, and the understated design makes it a lot easier to read. You can also learn about interesting places and stores in and around the city of Columbus. Columbus born and raised, Lindsey’s style of writing on her blog, A City Explored, has garnered a fair share of readers over the years. She owns her own business and blogs because she’s passionate about putting her thoughts on a webpage. Check out her blog for her take on Columbus, fashion, food and good times with family! This classy blog, Champagne In The Rain, is owned by Emily Brunotte who writes about places to eat, travel and beauty tips. There are several places we didn’t know about around Columbus until we went through her blog. Her recipes are also great – typical Cbus fare with interesting twists like the ‘Flank Steak with Chimichurri’. Run by good friends Kathy and Sophia, Kasual Life is a lifestyle blog out of Columbus. They have a bit of everything in their blog; quick getaways, useful healthcare tips, food recipes, places to eat, and relationship advice. They regularly post new content, so you should definitely go check them out! Originally from Texas but now a self-professed Ohio explorer, Mandi’s blog Cohen Places has her adventures documented in and around the neighborhood. You can find places to eat, drink and experience from her blog. She writes well and often, so we do recommend that you check her blog out. 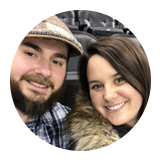 Victoria’s blog For What It’s Werth covers a lot of topics like food, health, lifestyle, and exploring the city of Columbus as well. She offers advice on a lot of important life activities like relationships and finding gainful employment. Occasionally, she writes about her own experiences with life which are interesting to read. Want to know more about the city of Columbus? Get a bird’s eye view through the local experts and their blogs. If you are looking for deals and discounts around the city of Columbus, then this is the blog you need to check out. There are up-to-date posts on everything, from deals on yoga classes to the local movies. There are also several informative articles on things to do around Columbus that’s good reading as well. Morgan’s love for Columbus and the people is apparent in this blog. The blog is dedicated to sharing the tales of the city – happenings, people, and places. If you are looking for information on residential areas, local businesses or places to eat, then she has you covered with detailed content about it. Robin covers a lot of information about everything happening in and around Columbus including events, places to eat and drink, even her favorite brand of sandwich spread! It is a well-written and informative blog for people who want to get more out of their favorite city. Megan is the heart and soul of Eat Play Cbus, a blog through which she shares everything she loves about Columbus. She posts frequent updates about interesting stuff happening in and around the city. 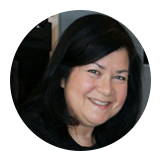 Her blogs are detailed and cover every aspect of the subject through succinct words and vivid imagery. 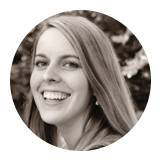 Signe is Speech Language Pathologist and an avid explorer of Columbus. Her blog, Say n Play Columbus has a lot of relevant information about how you can “say-n-play” with your child – outlining several activities you can do with your bundle of joy. She has activities for babies up to the age of 12 months. Blog Spotlight: The Columbus Region website has everything about the city, business, markets, and industries in an easy to understand layout. It has an overwhelming amount of accurate economic data for the Columbus region including demographics, statistics, educational data, maps, and business information. If you want an unbiased professional review of the sights and sounds of the city, Columbus Navigator offers a good mix of art, real estate, events and of course, food and drink news from around the city. It is updated regularly as well, so you don’t miss anything happening around the city. Blog Spotlight: The Columbus Alive blog is dedicated to the fabled Columbus community. You can read about various events that happen in and around the city including music and the arts. It also has information about various movies that are currently out as well as the best places to get your food and drink. Blog Spotlight: The Columbus Monthly is an extensive website that comprehensively covers various subjects around the city like news, health, home improvement and good eats around the city. It has a neat layout which makes it easy to absorb the (considerable) amount of information on the page. This website gets regular posts, and articles are updated often. Blog Spotlight: A comprehensive look inside the city of Columbus, Experience Columbus, true to its name has a lot of in-depth coverage on what makes the city tick. Things to do, events, hotels, and even neighborhoods are all listed here for people to read up on. Find the trending styles this year from the top-tier fashion bloggers from Columbus who’ve showcased their unique sense of sartorial elegance. Rizelle McLean uses her blog, Tour In Style, to express her opinions and experiences on fashion, motherhood, beauty, and travel. Right from useful tips to hacks and remedies she always swears by, Rizelle’s blog is a great portal, especially for mothers, who want to stay up-to-date on latest trends! Founded by Elizabeth Bean Smith in 2006, Wardrobe Therapy is a company that is dedicated to helping people from all walks of life, both men and women, dress their best and make the most of their wardrobes. Right from fashion enthusiasts to executives and even CEOs, the team is dedicated to bringing fashion and the latest trends into the lives of those who need it. This is a personal blog curated by Candace Read, a fashion lover, and enthusiast who focuses on making high-end fashion accessible and reachable for everyone. She’s also a wardrobe stylist at Wardrobe Therapy and uses the rest of her time to curate classy, suave and trendy content for her blog, which is a great both content-wise and visually. Vanessa Renae puts together interesting content and posts on her blog, named after herself. She shares her experience of maturing as a shopper over time, and learning how to spend less and still have more, with creative styling tips, beauty hacks, everyday remedies and much more. For the smart shopper who’s looking for maximum utility, Vanessa’s tips can be handy. She is a mother and also a fashion lover who takes time out to create fun, personalized blogs posts, all focusing on dressing according to color schemes, for occasions, finding the right outfit and the right places and much more. Both mothers and single women will find her blog to be very engaging and also informative! 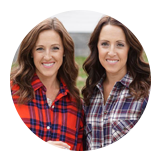 Katey and Betsy are women with a lot more in common than just being twins – their passion for looking good and having a penchant for picking up on trending styles and fashion. They own the Two Peas In A Pod blog on which you can find topics ranging from makeup routines, clothing, grooming and personal care. They have content that is current and appeals to you if you are looking to enhance yourself. Have you always wanted to travel through and around Columbus? Get more information about how you can do just that from these travel blogs. A fun and exciting blog, curated by a parent who loves traveling with their kids! The blog features posts that record all of their fun adventures traveling in Ohio and all of US, and also documents handy tips, where one can buy interesting products, sights that are a must-see and much more! The perfect blog for parents who love adventures with their kids. Heather Rader was bitten by the travel bug many years ago and, ever since, she has made her way through several continents and countries, documenting each adventure on her blog. Travel enthusiasts who want to know and see more about a place should definitely check out Heather’s blog. Heather is also a contributor to Tourism Ohio and whips up some original content! Zen Life And Travel is all about a full-time mother who is eager to share her personal experience, tips, and advice on a variety of topics on her blog. She talks about travel, health, food, personal care and much more on her blog, which has a very personal and informal touch to it. Her blog is a great spot for parents who love to travel to find out all they need to know! Columbus Family Adventures is a blog curated by an enthusiastic family from Ohio, who focus on all the different adventures that one can explore in the many parts of Ohio. Right from animal safaris and theme parks, to shopping areas and carnivals, this blog is an excellent place for newbies to find out and discover all about the wondrous offerings of Ohio! These avid photographers on their blogs showcase picturesque locations and beautiful shots in and around the city. Aaron is a photography professional, and also a stay at home dad, who loves spending time with his kids and hence, loves taking photographs of families and their kids as well. He has a keen eye for great photographs and also has a giving side, which drives him to carry out workshops and training sessions for those who are interested in learning and mastering the art! She is a lively and enthusiastic photographer, who loves capturing the intimate and emotional moments shared between families and loved ones. Her specialty is wedding photography, and she has captured many weddings and ceremonies all over Ohio. She has a great love for beautiful wedding settings and would be a good choice too! She is a full-time photographer who loves taking pictures of people, weddings, families, and all the beautiful moments shared by them that they would love to frame and cherish. Her working style is warm and pleasing, and she loves to make a connection with every client she works with. Whatever the occasion, Jessica is a great choice for any family! Rob McCormick is a thoroughly professional and dedicated photographer, whose expertise lies in weddings, corporate events, galas and also individual portraits and portfolios. He breathes life into each picture he clicks and ensures the best of the best results. So, if it’s a team outing or a lavish wedding, he’s the man to approach! Anna Markley is more than just another wedding photographer; she loves to work with natural lighting and outdoor settings, without the need for any artificial lighting or photographs taken in closed studios. For wedding photographs that are based on nature and candid portraits, Anna is an excellent choice to go with! Jacqueline Marie is the expert when it comes to taking breathtaking photographs of newborns, families, young children and also pre and post maternity pictures. She always adds her touch of grace and elegance to each picture, giving her clients images that they can frame and hang on their walls for years to come! Adam has been an avid photography enthusiast right from when he was a teenager, and has turned his passion into a profession. He specializes in fashion and commercial photography, weddings and also parties and events. 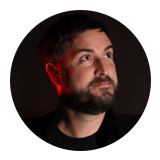 He ensures that each image brings out joy and a message, and always involves himself 100% in every project. Sarah is a doting mother and wife who puts her heart and soul into every image she clicks. Her expertise lies in newborn and family photography, which also keeps her profession close to her heart. She loves bright and lively images, and breathes life into every setting she clicks! Ashley is a mother and wife who absolutely loves weddings. She likes to make her photographs look real, raw and candid, showcasing the most vulnerable yet beautiful moments that go into making a wedding an intimate occasion. Her work is clean and contemporary, which is perfect for a modern wedding! Lynn is a part-time accountant and full-time mother who loves taking photographs of newborns, families and also maternity pictures. Her passion lies in taking beautiful pictures that families and parents can cherish for many years to come, and she always pays keen attention to detail and perfect settings! Looking for ways how you can take care of yourself and your young‘uns? The best mom bloggers out there can show you how. Teri is a work from home mom who loves sharing her ideologies and beliefs, as well as gives insights into a variety of topics on her personal blog. She loves exploring new cultures, going on adventures with her kids and of course, connects with mothers across the globe to create insightful and engaging content for people from all walks of life! Amy, the owner and founder of the blog, started it with the idea that being a mom in a city is nothing short of a full-time job! The blog curates and puts together articles from city moms all over Ohio, and they educate and talk about planning itineraries for the family, home, and home care, choosing the right activities for children and much more! Julie is a mom of two who wants to make life simpler for other moms and families living in Ohio. Her blog focuses on showing people different activities and events, places and also locations where families can explore, spend a fun weekend, and even take their children and make a fun day of it! 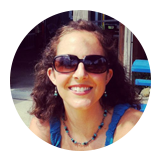 Her blog is informative and all about the different adventures that Ohio has to offer. Healthy eating, gardening, natural home remedies; all of these and more are topics covered under this engaging and informative blog. They are a team of bloggers who focus on making life simpler for parents and adults, and also bringing people closer to Nature and choosing the most natural and fuss-free ways to live and enhance their lifestyles! Valerie and Mona are moms, friends and business partners who curate this blog together. They partner with several sites and brands across Columbus, creating blog posts and articles which answer many questions, give essential tips and tricks, and also do promotions for several events and fun activities that happen in Columbus all year round! Caity is an enthusiastic mother who knows and understands all the challenges one faces during and after pregnancy. She discusses and writes about all the simple and not so simple tasks of being a parent, and also talks in depth about how to take care of a baby and do your best to give them a loving and nurturing childhood. Amanda is a young mom of three who loves the parenting life, and wants to share her knowledge and experiences with the rest of the world! Her blog talks about a variety of topics, ranging from pregnancy and childbirth to taking care of an infant and maintaining a healthy lifestyle as a mother! Her blog is fun, informative and also intimate. Jennifer is a doting mom to four children, each of whom deals with a special case or diagnosis. Her blog reaches out to parents who have children with special needs and medical conditions. Her main aim is to help parents deal better with several such conditions and ensure that both the parents and children are prepared to make the best of their situation! Kristin loves motherhood and shares a close bond with her daughter. She uses her blog to educate and help other moms find kid-friendly activities, workshops, classes and fun events in Columbus that both the kids and parents can enjoy and cherish together. Her blog records and documents all such events and keeps parents up-to-date on activities to come! 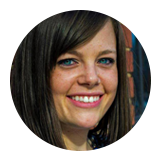 Ashley is a mom in Columbus who is always looking for new adventures and activities that her kids can enjoy. What’s more, she gets parents and potential centers for kids connected, so that they can have a great time too! So, parents who are looking for educative and fun places for their children to explore can look to her blog for amazing tips and guides! This blog roundup is a melting pot of ideas from different walks of life in Columbus, Ohio. They touch on a lot of subjects like traveling, cooking, kids, health, family, fashion, photography and everything else in between. We’ve selected them on the basis of their Google reputation, search rankings, quality of their posts, and consistency of their posting schedule and how well they resonate with readers. We’re sure that you’ll find several pointers that can help you.